The UAE Dolphin Project is a non-profit initiative dedicated to investigating the dolphin population along the UAE coastline, to provide scientific information and to support the conservation of these local marine species. This is done through the implementation of a research program as well as running a media campaign and educational programs involving the public and private organisations. 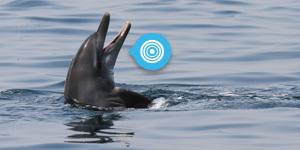 The ultimate goal is to promote the conservation of dolphin species and the local marine environment. As the first project monitoring coastal dolphins in the whole Arabian Gulf, it is a pioneering undertaking. It entails the collaboration of national and international, private and public institutions and organizations. The project is a non-profit based initiative.